Food Inc. is extremely powerful and sheds light on dozens of facts that the vast majority of us don’t know about the food we it. It’s eye-opening (and frankly terrifying) how much power big business has over the food we eat. 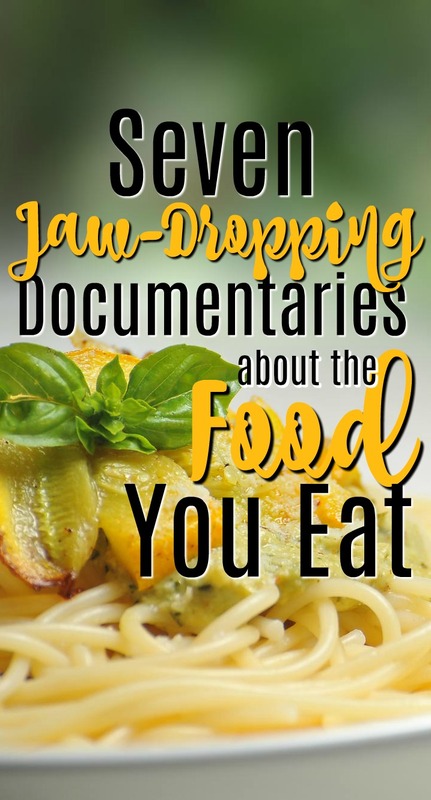 This documentary is the king of scare-you-skinny documentaries, so it’s a must watch if you really want to start changing the way you eat. And if you’re not sure that you want to change the way you eat…well, all I have to say is this film will clear that up for you. 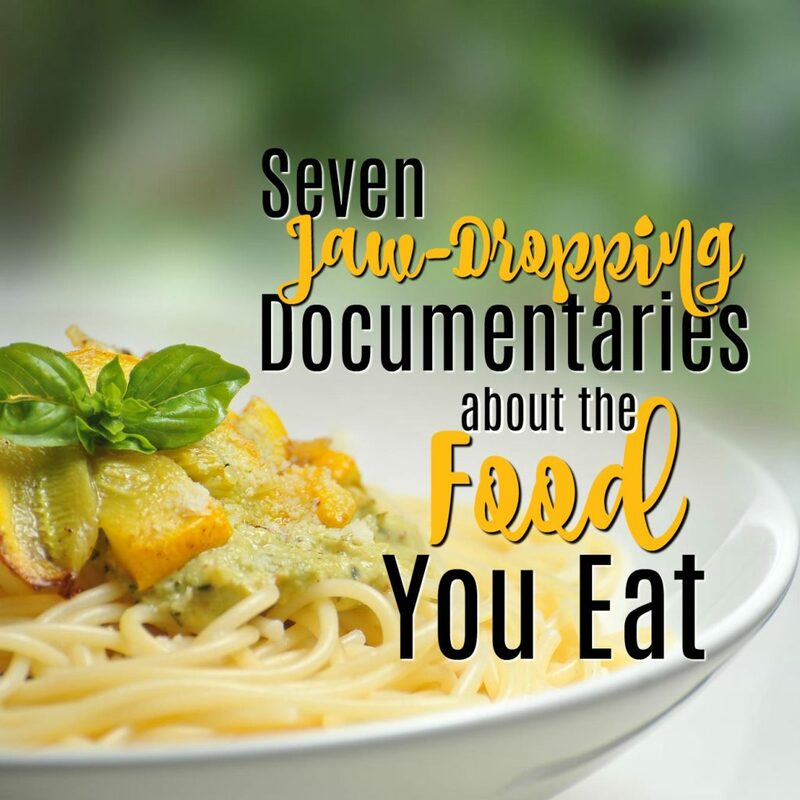 By the time I had watched Forks Over Knives , I had already changed the way I was eating and had already watched pretty much all of these other documentaries. But this one was so good, that I had to move it to the top of the list (and if it weren’t for the shock factors used in Food, Inc. it probably would be first). Forks Over Knives examines how food is truly the best medicine – and that it is also what kills us. It talks about tons of scientific studies that tie meat and dairy consumption to cancer and cardiac disease. The meat statistics are scary but not too surprising nowadays – the dairy, however, really scared me and was definitely eye-opening. 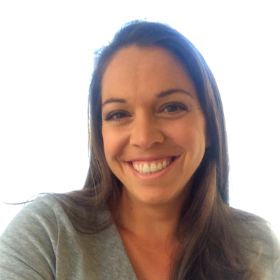 Fed Up’s angle is especially gut wrenching because it focuses on childhood obesity and the ridiculous uphill battle that the current generation is facing. It shines light on the flat out trickery and deception that is occurring in our grocery stores with products being labeled as healthy that really aren’t. It’s almost a tear jerker. It’s pretty eye-opening and will make you rethink almost every type of diet you’ve attempted (or thought of attempting). Throughout the documentary they also make a brilliant but disturbing comparison – sugar is today’s tobacco. Vegucated is all about living a vegan lifestyle. It follows 3 meat and cheese-eating adults as they commit to an experiment of being vegan for 6 weeks. It not only busts a ton of myths about being vegan, but also lays out exactly how you could start being a vegan yourself (they make it seem not nearly as difficult as you would imagine). There’s also a ton of eye-opening (and disturbing) facts about the treatment of animals that will certainly make you rethink what you’re eating, as well as the health impact of eating meat and dairy (which is often overlooked). I definitely left this one with a newfound hope to try to become vegan – or at least vegetarian. Hungry for Change is scary because it reminds you again and again (and again) that most of what we’re eating is really just “food-like product”, not actual food. And when you think about it, it’s pretty true. It also emphasizes the addictive power of a lot of the products we eat and certainly makes you question the motivation behind the companies that are creating these foods for us (basically, they don’t care if we’re healthy – they just want to make money). Fat, Sick, & Nearly Dead follows Joe Cross (an Australian self-proclaimed fat, sick and nearly dead man) for a 60 day juice fast/road trip across America. He interviews Americans along the way, which really makes you realize just how ridiculous our society has become (i.e. how many adults quite literally don’t eat vegetables…at all). This one is more inspirational than scary, so if you’re too disturbed by the others, this may be your best bet. Fat, Sick & Nearly Dead 2 is entirely about juicing. If you’re a regular (or even irregular) juicer, then you’ll love this. And if you’re considering incorporating juices into your life, then definitely watch this. And even if you aren’t into juicing, you still will get something out of this – it makes it clear just how unbelievably healthy and nutritious fruits and vegetables are. Like, so healthy that people are cured of illnesses, can go off their medications, and actually see and hear better. And like the first, this one is more inspirational than scary, so you don’t have to worry about any nightmares popping up. I really, really, really hope you get a chance to watch every single one of these. Over the course of a few months and watching each of these a few times, my husband and I have started juicing regularly AND have been almost entirely vegan for about a month (and basically vegetarian for quite a few months). We’ve both lost a ton of weight, but even more exciting is that since we became vegan (or as close as we’ve been able to get), my husband has stopped experiencing all allergies…which is pretty crazy. Oh dear! Do i want to read these? lol…Of course i will,it has been on my mind lately! Even if it means giving up some favorites! ooops I meant watch! I have actually seen a little bit of forks over knives and it was intresting!Thanks for sharing! Fantastic list! We have watched some on the list and found the information presented to be motivation for paying closer attention to our diet and lifestyle. I’m curious to see Vegucated; we’ve been vegetarian for years and would like to hear the insights shared in this. I love watching documentaries. I’ve been wanting to watch Food Inc. and Fed Up for a while now. I think I’ll put them on my must watch list this summer. Thanks! First of all, I love this post title! So clever and funny (and true!). I recently watched Fed Up, and like you, I had already changed my eating a few years ago for the very reasons they mention in the film, but gosh, it was still so eye opening and frustrating. I’ll have to check out these other ones too! Thank you! I was very excited about the title even before I had finalized the post, so it’s great to hear it worked 🙂 You definitely need to try out the rest! They’re all so disturbing, but also somehow so inspirational. Thanks for reading!